The first step to better quality is tracking it. When you wing it, you miss things. When you know how things are really going at your airport facilities—with data that tells you just how often you’re meeting your own standards—you’ll always be a step ahead. Customize our forms to fit your workflow and facilities. Whether you’re inspecting restrooms and other high-traffic airport areas, making sure airplanes are cleaned correctly, or doing safety checks to boost your ASQ survey ratings, our forms work for you. Empower your team to own quality and safety assurance. 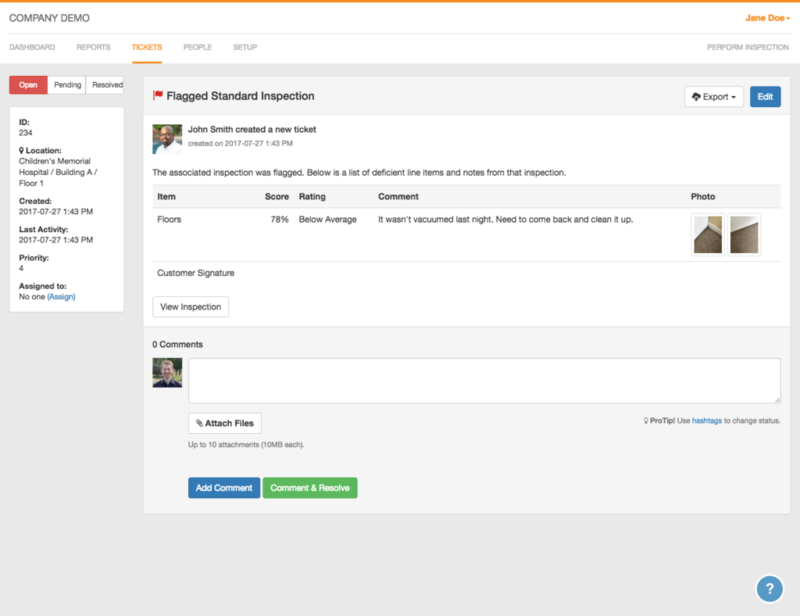 OrangeQC’s powerful inspection tools let you show your team members exactly where they need to improve. Show inspection photos of things done wrong, or point out trends over time. You’ll also know exactly who needs another round of training—and who really deserves that bonus. When an app is easy to use… it gets used. 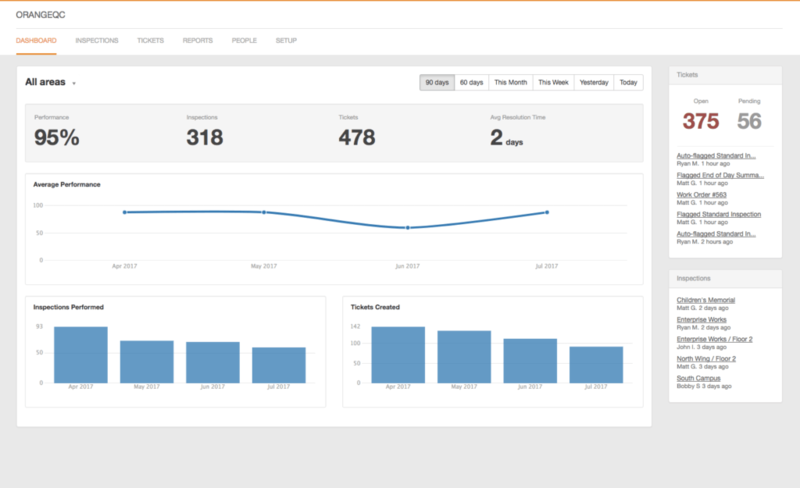 That’s why we keep everything at OrangeQC simple and intuitive. 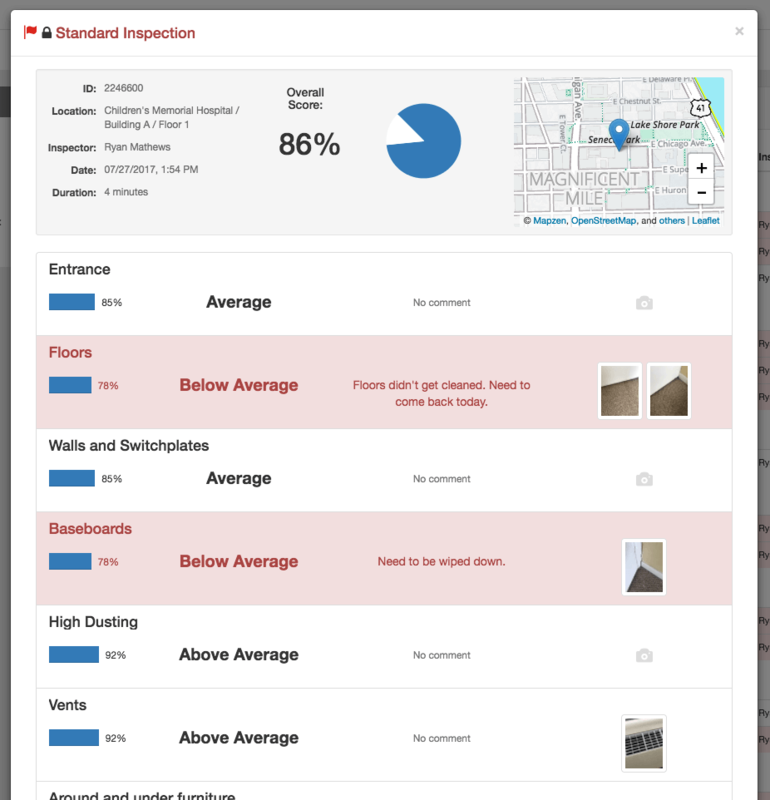 We do all the hard work for you: pulling out trends in inspections, organizing work orders and corrective actions, and analyzing your data to create custom reports. Learn more about how our features work for you. OrangeQC provides actionable real time data which helps us maintain our facilities at a high level, contributing to an unforgettably positive passenger experience. I include OrangeQC in every proposal and presentation… people just eat it up. People love the real-time graphs. People love the pictures. People love the iPad.